Please don’t hate me for this comment: sometimes I dislike sandwiches. Don’t get me wrong, I love the ease for which a sandwich travels but sometimes I feel like it’s all about the bread and not about the fillings. There can be some really great sandwich fillings out there! I’m the person who smashes a peanut butter and jelly sandwich together and then pulls it apart to eat it slice by slice. So instead I often find myself eating toast lathered in different, easy toppings. I like toast because it’s not flimsy and can still easily be eaten without utensil but I have the ability to stack twice as much filling as a normal sandwich. It’s a win-win situation in my book. 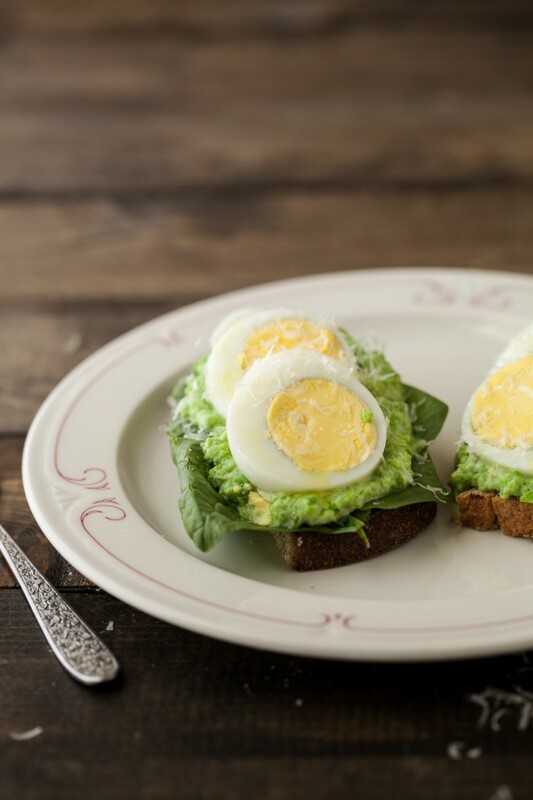 This pea toast is delicious, easy, and makes for a super healthy lunch. I almost always have hardboiled eggs in the refrigerator which makes this come together in no time! In a skillet, heat olive oil over medium heat. Add in olive oil and garlic scapes,sautéing until tender. Stir in peas and let cook until tender, 3-4 minutes. In a food processor, combine peas, honey, thyme, salt, and pepper. Pulse until peas begin to smooth out. Add in ricotta cheese and pulse until combine. 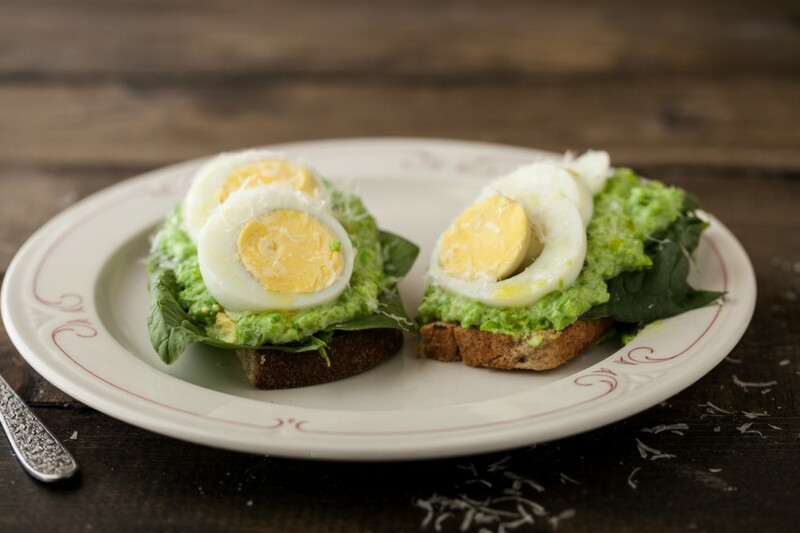 Lightly toast the bread and layer with spinach, pea mixture, and hard boiled egg. Sprinkle with parmesan cheese and olive oil to serve. I totally agree – there’s just something about an open-faced ‘sandwich’ that’s so much more attractive to me. I think it’s because, usually, 2 sides of an open-faced means more yummy filling than in a standard sandwich. I make a similar slathered toast to what you did here, but with smashed avocado instead of peas & ricotta. I have lots of peas and scapes in my fridge this week, so I think this is going to have to happen. Now this is just pretty 🙂 Love it! Mmmm looks amazing! I had to google garlic scapes. If you don’t have scapes is it an equal amount of garlic cloves? Ohhh and I just noticed your Now in Season section! That’s great! I’m not a sandwich fan, either! Give me toast any day. My boyfriend says that girls can’t make sandwiches because they don’t have the right filling to bread ratio. Saying that, I’m all about the little things on toast meals and I’ve been dreaming about something similar with ricotta and broad beans this summer. Beautiful toast. I’m a big sandwich person, but I love just eating bread, ha. 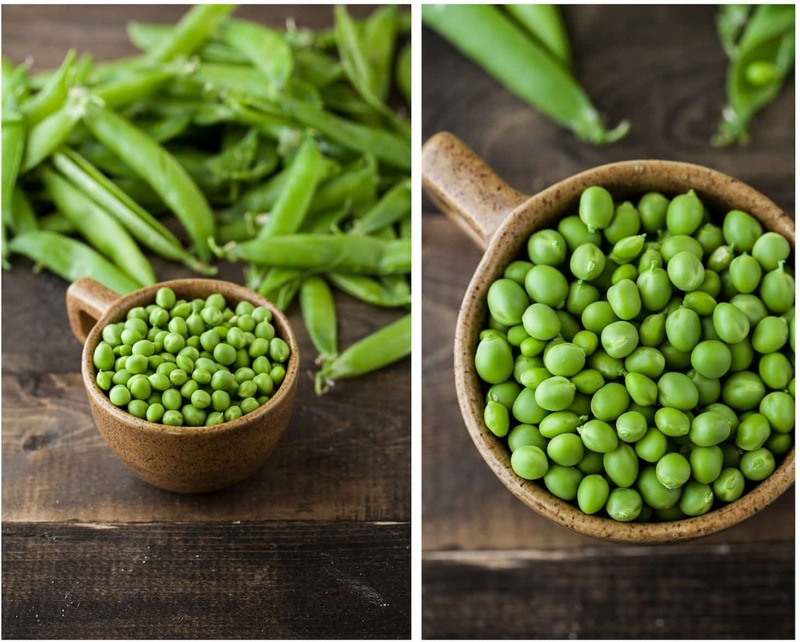 Your photos of the peas are stunning. I would actually refer to your pea toast as a sandwich! I definitely eat far more open-faced toaster oven sandwiches than closed sandwiches any day–especially because I don’t get the roof of my mouth all scraped up. Love the pea and hard-boiled-egg combination! I love eating sandwiches but I hate making them, it stresses me out getting them to stay together. Toast, on the other hand, I can handle. I love the idea of the pea puree with ricotta, I want to give it a try with some home made ricotta next time I make it. Thanks for the recipe! What a beautiful spring/summer dish! This looks wonderful. I initially thought the smashed pea was avocado (I looked at the photo before reading the title) and I think that would also be really good! Though with the other two fatty elements I bet the peas are more refreshing. I feel the same way about sandwiches, they either have too much meat or too much bread. Unless its a Caprese, and then there is never enough cheese or tomato for me. These however look perfect in proportion and hard boiled eggs are my favorite! Thanks for sharing this! Yum, yum, and yum. Those peas are beautiful, and I am so hungry right now. Hi! I linked to this recipe in my June Real Food Monthly Meal Plan article. I am so ready to try this one. Thanks for posting!